LG just released a video confirming the 8.3-inch G Pad tablet without revealing it, but now a rendering has surfaced, comparing the upcoming Android slate to the recently-released G2 smartphone. The two devices look very similar, which is no surprise since they both fall under the company’s new G series branding. There are a few small differences. 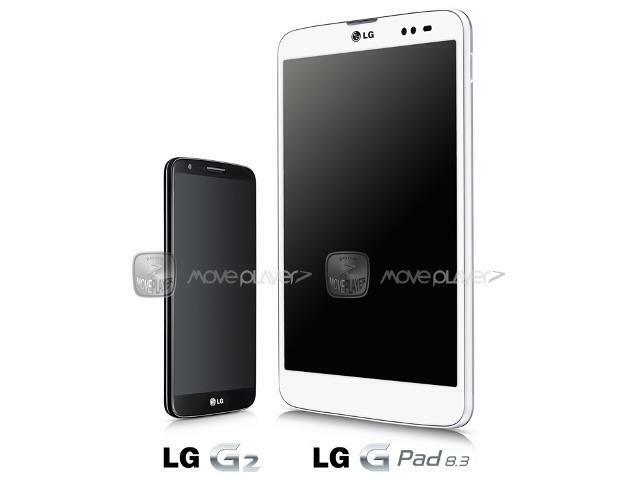 The LG logo is at the top not the bottom on the tablet, and the speaker grill and front-facing camera have been moved to the top-right corner. Other than that, the two devices feature the same large rectangle shape, rounded edges and thin side bezels. It’s possible that the G Pad may also feature buttons on the back, although the rendering appears to depict a power button on the right side of the tablet near the top. The picture was first posted by Move Player, a Korean site that also published earlier rumors suggesting that the tablet will sport a 1920 x 1200 pixel display and launch next week at IFA. TechnoBuffalo will be in Berlin for the big announcement and we can’t wait to see what LG unveils.